Lower Elementary children are required to complete the equivalent of three works during morning work time. Each child makes individual choices to complete one math, one language, and one cultural work with each work fulfilling approximately one half hour of focused concentration. A soft tone bar is rung to help measure the time. For some children a half hour of math may encompass four pages of multiplication, while other children may spend a half hour on four problems. Exceptions to the guidelines of completing three works are made for students deeply engrossed in their work or passionate about continuing with an ongoing project. Often, a work requirement may be fulfilled with a lesson being given that day. Individual lessons are given during morning work time as well as group lessons with a focus on a particular grade level. Though the focus is on one grade level, students from all levels in the class are invited to join. Time management is a challenging skill that is learned through practice. As the first few weeks of school are a transition time in the classroom, we ease into the requirements. Through a series of Great Lessons, the child is offered a panoramic view of the universe and human history. The child is, in a true sense, presented with the world. The first of the Great Lessons explores creation stories and the origins of the universe, while lessons to follow present the beginnings of life on earth, the development of humans, and explorations of writing and mathematics through time. Each Great Lesson is presented in a highly impressionistic and dramatic manner, instilling a sense of wonder in the child of her own connectedness with the cosmic process. The principles in these lessons offer countless avenues for the child’s exploration and provide a context for the study of details. While the Great Lessons demonstrate the order that is innate in the universe and the gifts that humanity has passed on to us, they also present a holistic vision of knowledge from which the disciplines naturally emerge and eventually return. For example, the history of writing in Egypt is connected to clay tablets from the riverbanks of the Nile. The Nile is connected to geography and geometry, as a three-four-five triangle was used to survey the land following the floods. Flooding is connected to flora and fauna and to papyrus, the writing paper eventually used to record the history. In such a way, Cosmic Education provides an overview to stimulate the child’s rich imagination by tying together the details of the disciplines for language, mathematics, geometry, geography, art, history, zoology, botany, and science. 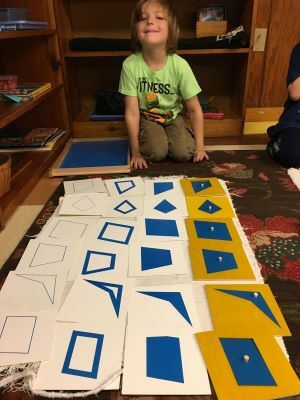 The early elementary Montessori classroom offers a prepared environment where the child has freedom to choose the work that interests her at her own individual level. 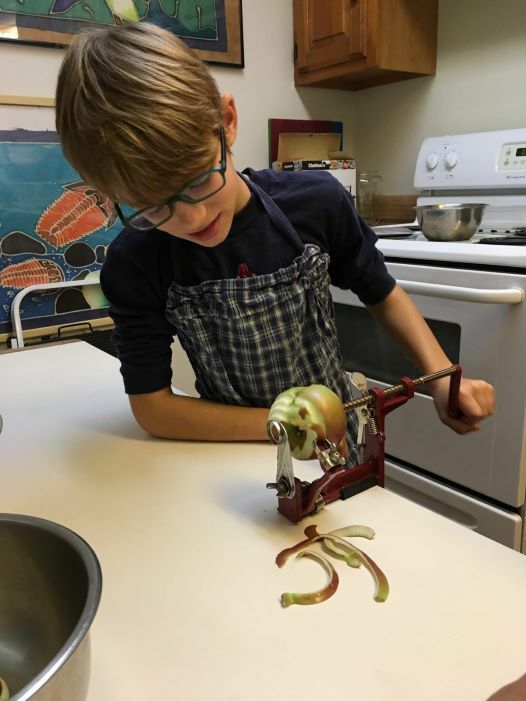 A variety of hands-on, self-correcting materials are available to encourage the child’s independence, personal responsibility, and spontaneity, while providing a frame of reference for her exploration. The classroom provides a community of workers with freedom of movement and choice where the child may begin to realize her cosmic task while working alongside her classmates. What is the child’s cosmic task? As the universe is collaborating in the still evolving creation of everything that is, every element of nature performs a task in maintaining a balance in the universe. The child’s task is the same as each element of nature, to fulfill the instinctual need to exist through survival and to contribute to the total harmony of the universe through meaningful work. Just as the child is presented the world through the Great Lessons and in exploring the disciplines that emerge from them, the world presents itself to the child in what Dr. Montessori described as “going out.” As the child begins to view herself as a part of a larger whole, her interest in all of creation grows. In From Childhood to Adolescence, Dr. Montessori wrote, “Let us take the child out to show him real things instead of making objects which represent ideas and closing them in cupboards.” Through outings the child may discover her place with nature and the social community. The purpose of Cosmic Education is to interest the child, to invite freedom, independence, and fulfillment of potential. It embraces the understanding that answers must be divined from within. Cosmic Education fosters a sense of respect and gratitude for all of creation that will ultimately lead to the child’s discovery of reality.